Trucking rates have been relatively stable in 2013,and prices for on-the-road diesel have been flat for most of the year somewhere a few nickels or dimes North or South of $3.90. Nevertheless, many shippers are looking very hard at how they can reduce transportation costs from current levels. Optimizing both pallet builds and trailer utilization can often reduce transportation costs per unit by double digits. "We're increasingly realizing that transportation costs are the most directly controllable expenses that we have," a vice president of supply chain for a consumer package goods company recently told SCDigest (he asked to remain anonymous). He said that his company had little control over commodity costs, a major expense on the income statement. Production costs were largely pre-determined by the level of automation in a given facility and customer demand. In his company's business, there are limited opportunities to reduce inventories, given the impact of promotions on inventory plans and the fact that the company already has rapid turns, holding under 10 days of inventory across its network. "With the margin compression we have been seeing over the last few years, we have to look at operating expenses to try to get some of that margin back, and we have recognized that the area that we have the most control of is transportation," the exec added. One strategy his company is using is to actually adjust production schedules to take advantages of transportation opportunities, something the firm never would have considered in the past. The VP of logistics for a regional retail grocery chain offered similar sentiments. He said the company believed it was pretty efficient using its private fleet to get product from DCs to stores, but upon closer evaluation lately has found a number of areas of transportation opportunity. In this company's case, increasing use of backhauls from supplier DC and more efficient trailer loading generated meaningful savings - again representing one of the most directly controllable supply chain cost buckets the retailer had to work with. There are a plethora of potential areas to reduce transportation costs. Five of the most popular/impactful are listed below. Implement a Strong TMS: Despite widespread deployments of "tier 1" Transportation Management Systems, research from leading analysts companies continues to show less than 50% of mid-sized and even large companies use current, robust TMS tools. The ROI for TMS investment is generally strong, and new Cloud-based TMS solutions can reduce the cost and effort of getting a more functional system in place. Take Control of Inbound Freight: It is amazing how many companies in virtually every sector still allow suppliers to manage inbound freight and add it to unit prices. In retail, which has been the leader in managing supplier shipments, the trend in recent years has strongly moved from static control (printed routing guides) to dynamic routing (vendors submit shipment plans and are given carrier and pick-up time). But it is clear many companies are still leaving a lot of transportation dollars on the table by putting transportation costs to be in the hands of suppliers and the purchasing department. Enforce Routing Guide Compliance Internally: A growing number of companies have developed internal routing guides for factories and distribution points, but how well those guides are adhered to is another matter altogether. The first step is to measure compliance, a metric not all companies can calculate. The next step is to put in electronic controls that are not easy to override (e.g., TMS selects carriers based on the routing guide, or mandating that reasons for varying from the routing guide must be documented). Embrace Packaging Optimization: The best place for many companies to find transportation savings may not be in the transportation function at all, but rather in improving a wide variety of packing designs. That can range from changes that enable companies to get significantly more units on a pallet to re-adjusting carton sizes for e-commerce shipments to reduce the average dimensions of shipping containers. Transportation costs be unit can often be reduced in the double digits from such packaging optimization. Better Utilize Pallets and Trailers: Trailer loading optimization programs have been around for a long time, and may not be beneficial for all shippers, but clearly are also underused overall in the market. The best tools not only maximize the loading plan for a specific trailers, but look across order to optimize loading plans across loads. Less understood are tools that optimize pallet builds for mixed case picking - sometimes part of a Warehouse Management Systems, sometimes independent tools that send optimized pallet builds based on orders back to the WMS for execution. Of course, there are many other techniques for reducing transport costs per unit, but the five tactics described above offer some significant savings opportunities for any company that has not already implemented each of them. 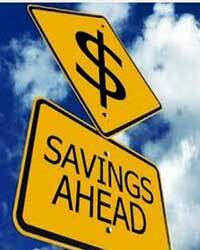 Are you paying more attention to reducing transportation costs of late? What ideas have you pursued? Let us know your thoughts at the Feedback button (for email) or section (for web form) below.